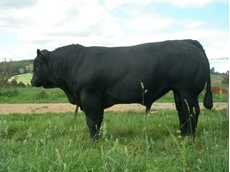 Marcel Limousin breed both French pure/fullblood and purebred cattle. AI sires are sourced from Europe and North America. The Minnie-Vale Charolais Stud cattle are medium framed, easy doing, muscular with excellent structure and attention to temperament, both polled and horned. Wagra Dexter Cattle Breeders are situated in the Far East Gippsland Mountains, Victoria. Providing quality Dexter Cattle for beef and dairy production. Bulls on offer at Gyranda Annual Bull Sale a "sound investment"
22/06/10 - Burnett and Louise Joyce from Gyranda Santa Gertrudis Stud would like to extend an invitation to attend two important events, at “Gyranda” Theodore; the Gyranda Open Day and Annual Bull Sale. 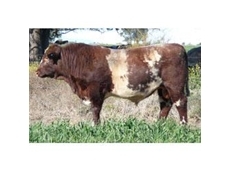 20/08/09 - With over 100 years of combined breeding experience Mawarra is committed to consistently producing modern, efficient, profitable Hereford and Poll Hereford cattle. 04/08/08 - Condor Cattle Co provide broodmare band which includes a range of healthy mares. 16/07/08 - Marschay Shorthorns deals in the commercial breeding and sales of cattle and bulls. Marschay Shorthorns was established in 1975 and currently houses about four hundred animals registered under it. 14/07/08 - Hazelton Brahmans is involved in the breeding of Brahmans. Some of the bulls offered by Hazelton Brahmans for sale include Hazelton Sydney, Hazelton Snoopy, Hazelton Sportsman and Hazelton Statesman.